Many of us have had the same moment, looking up at a puffy white could and wondering, 'what exactly is a cloud made of?' Readers will learn that water travels in a cycle. It evaporates from Earth's surface, rises into the atmosphere, cools and forms clouds, and falls back to Earth as precipitation in the form of rain or snow. 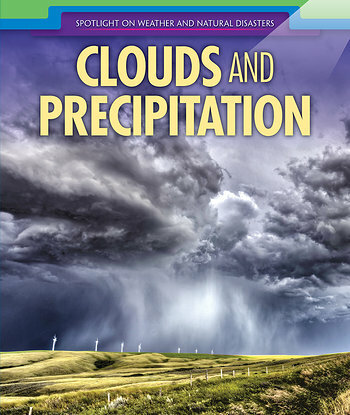 By examining the water cycle, which is an essential topic in science curriculum, readers will glean a greater awareness of Earth's forces at work through relatable, real-world examples.